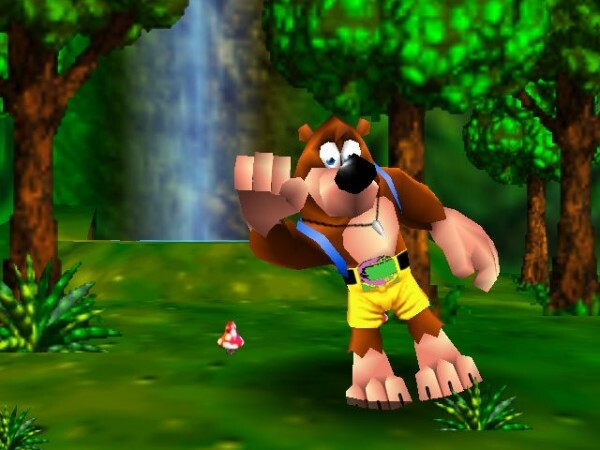 Just kidding, it’s not Banjo. It’s me! What better way to return to writing for NintendoFever than with the final Super Smash Bros. for Wii U/3DS Nintendo Direct. The hype for this has been building for what felt like forever…the final presentation! We’re going to get a waterfall of information! …except that what we got was a small bit of details stretched over half an hour of video. 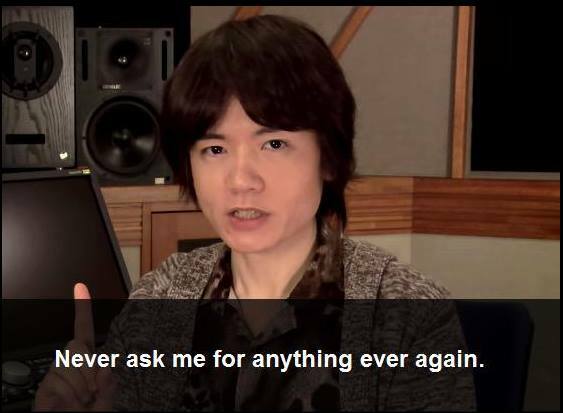 Granted, this is the end, Sakurai is clearly at the end of his rope with this game in terms of new content so it’s understandable that he’s not going to finish it out with a whole mountain of information. But I digress; we have news to discuss! Let’s get into it! And I’m already disappointed. Another Fire Emblem character? This iteration of Smash has been getting lots of flack for its expanding character roster…the brunt of which being the “excessive” amounts of Fire Emblem love it’s been getting. This DOES feel different, however – this guy’s not a pure swordsman, or a magician, or on steroids (what’s your stack, Ike? ); he’s part dragon! 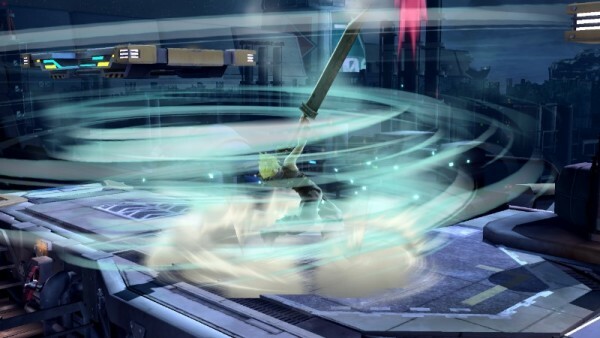 Most of his moves have him turning partially into a dragon, and his counter move and Final Smash have him fully transforming. I just want to take a second to point out that his side-smash looks like it reaches across a good quarter of any Omega stage…I was making jokes before the direct about Sephiroth from Final Fantasy VII being included with his 8-foot long sword, but this will do. 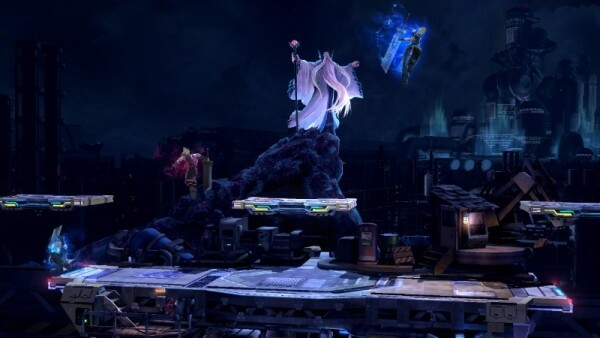 Corrin, the new protagonist from Fire Emblem Fates will chose his/her destiny in Smash sometime in February. HAHAHA NOPE, ENJOY YOUR MII COSTUMES. Sakurai, you class-A troll. This is how you show fans that you’ve been listening. You’re devious. You’re dubious. You’re hilarious and I love it. You may have noticed that Chocobos are a Mii costume. That’s right, Cloud is here! (Literally, he’s been out almost instantly after the Direct, get him now) He plays pretty well and fun; he’s a bit slow and despite having a grandiose sword, he has some short range. 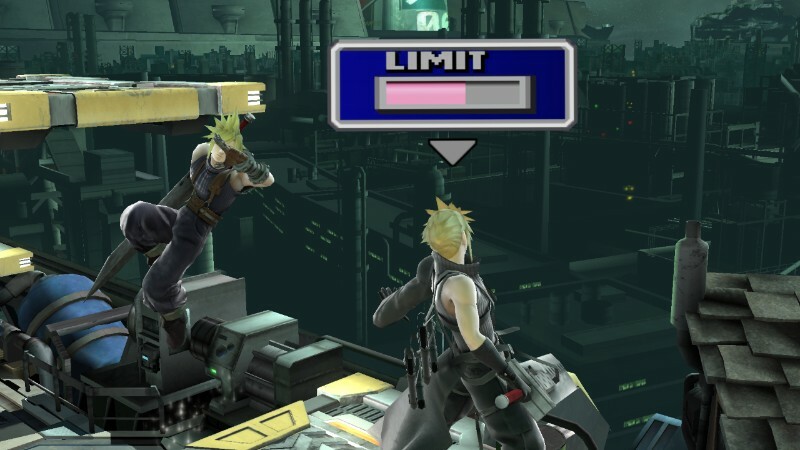 His Limit Break mechanic is similar to Little Mac’s KO-meter, but you can also boost it with his down special. All of his special moves and maneuverability are heightened when the Limit Break is full, with his down special turning into a huge launching attack (as a Puff main, I love this). His Final Smash is flashy and cool, but it feels like every over swordsman Final Smash. Moving on, let’s talk about the stage Cloud brings with him. Midgar, the starting area from Final Fantasy VII, features the ominous Shinra Building in the background, and has a huge sense of awe and nostalgia to anyone that’s familiar with the source material. 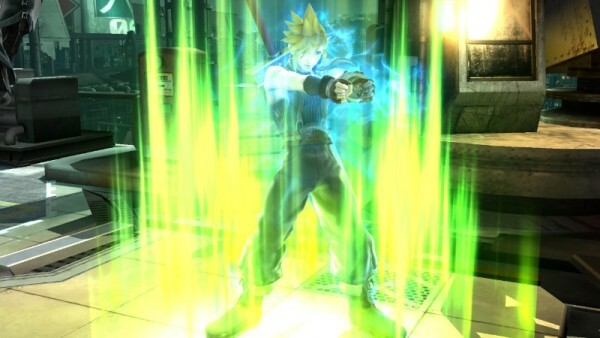 Speaking of materia(l), the cool summons we saw in Cloud’s reveal trailer are player-activated stage hazards: materia appear randomly and the player that hits them will cause a random Summon, ranging from the likes of Bahamut or Odin or Ifrit to name a few. The stage may split in two, or be rushed by a tidal wave, or a huge energy beam will flow from the background to the stage and destroy anything in its path. It’s a beautiful event for sure, but these do feel like a lot of the Pokeball and Assist Trophies we already have. That’s pretty much the wrap-up on Cloud’s DLC package, all that’s left now is one more character reveal, the Smash Ballot winner: Shovel Knight! Sorry, I just assumed he’d be the ballot winner with how much people vocally wanted him. Instead, unless you live in Europe where apparently she was the number 1 voted character, this came out of nowhere. From the start of the trailer, I thought we were getting another Kid Icarus character. Maybe Medusa? Take a look for yourself. 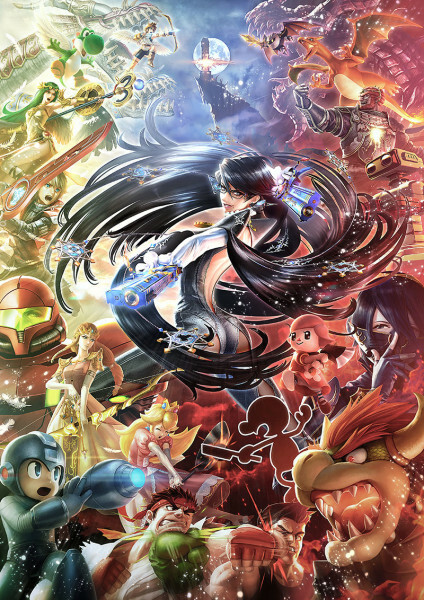 So…Bayonetta is in Smash Brothers. This blows my mind in so many ways, most of them…unpleasantly. Out of all the characters recommended, she was the #1 probably character to fit into the Smash universe? Over Shovel Knight, over Shantae, over Ice Climbers, over Wolf or Snake? She was in the top five voted characters in North America and the top in Europe, yet her fans were definitely the vocal minority in the running. It befuddles me that this witch made it into Super Smash Bros. That being said, I love Bayonetta and the fact that her guns work like they do in the actual source games has me excited beyond what I was prepared to be. The combo possibilities alone make me likely to drop Jigglypuff as a main come February when Bayonetta and her stage hit the eShop. Her hair attacks and her Final Smash scream “this game isn’t meant for children anymore,” a screaming dragon that eats the competition? I’ll take three, please, Sakurai. That’s it, the half-hour ride is just about over. All that’s left are loose ends: Ryu and Roy amiibo are slated for March, and if you’re a North American Smasher, Famicom R.O.B. is coming overseas at the same time. 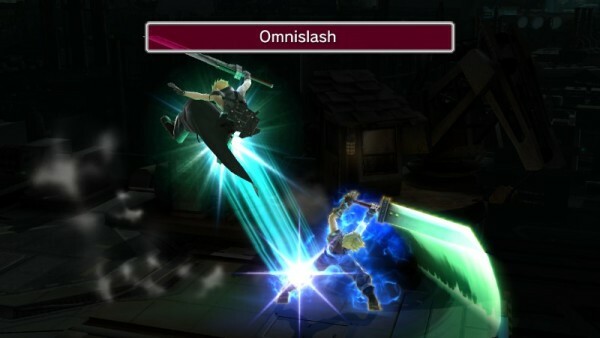 Cloud, Bayonetta and Corrin are confirmed for development as well. A large rap sheet of the game’s content stats are run by us to try and justify the end of the DLC train, if anyone was still upset that we’ve reached the final destination [hey-o! ], showing the fact that there’s almost 60 characters and 90 stages between both versions and a bunch of pointless Mii fighter outfits (by the way, they also mentioned they have QR codes for the Mii fighters shown in the various trailers on the Smash Bros. website, if you were somehow screaming for an accurate looking Inkling or something). Curtain call, guys. 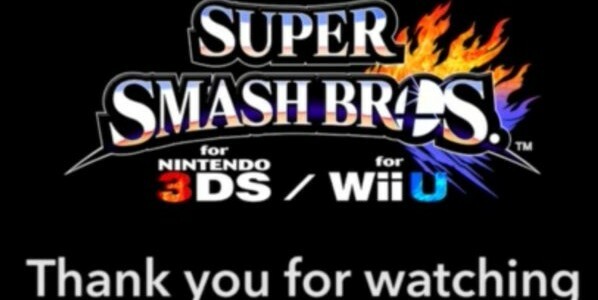 Super Smash Bros. for Wii U/3DS will be complete come March. No offline tournament mode, no extra single-player content. No more stages. No more characters (I was hoping if we kept going, Sakurai would almost have to include Goku), Sakurai is done. This will very likely be the final bit of content he does for the entire series, let alone the game. We’ve reached an end of an era, and we were rewarded with a grateful Masahiro Sakurai giving us one last Smash-themed goodbye video. It’s been a crazy ride, and in a wide-angled lens, this series helped shape my life. Thanks for the fun, buddy. Animal care specialist by day, running around town wearing a Batman costume by night, Mike somehow finds the time to play videogames and write about them. Take years of writing poetry, music, stories, add some experience in making people laugh, and you've got the mess that is me. Hello! NintendoFever Podcast Episode 104: Games That Scary Us!